If you’re at all familiar with fighting games, you’re basically going to do well with this. 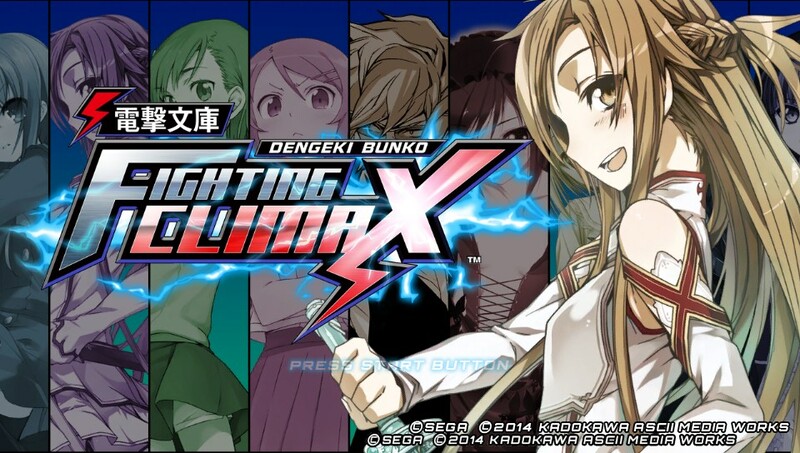 Dengeki Bunko Fighting Climax (which I will probably refer to it as “Dengeki” such cause it has a long title) provides hours of content in both Story, Arcade, and Dream modes. Not to mention online multiplayer, which I don’t think (unless someone pities me) I will ever win more than a match. But let’s discuss the game. Story mode felt very bland at first, to be perfectly honest. However, after doing a little bit of research (as I am not an anime person), I realized that this game is essentially an anime lover’s Super Smash Bros. Sega put in a number of familiar faces from Sword Art Online, Shakugan no Shana, The Devil is a Part Timer!, as well as Virtua Fighter, and a few other titles. 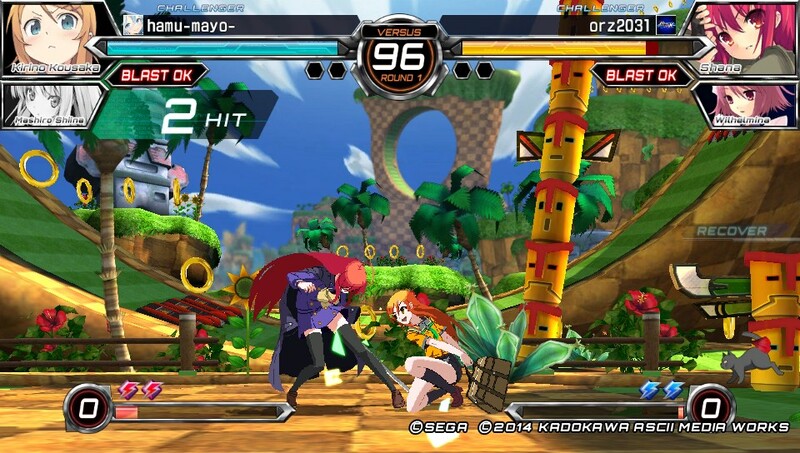 Among the characters, there are also Sega inspired battle arenas to fight in. Story mode consists of 9 different battles, each battle seemingly becoming more difficult. As you progress through each story (of the few that I ran through with different characters) you get the same similar bits of story development, however with a flare from each character’s respective anime. I’m not one to speak on fighting game mechanics because it’s just not something I’m terribly familiar with, but it seems to follow an simple convention of attacks. There aren’t crazy amounts of combos to learn, but the combos are useful once you start to understand how things work. Most combos seem to be button based, and d-pad/joystick movement only served to aim certain attacks (ground, air, etc). All characters have the ability to jump and super jump, plus some have mid-air attacks. Some characters basic attacks seem more combo-centered, so you may want to experiment with a variety of characters to see what you like. The result is a much simpler control scheme that made it so I was able to link a few attacks together to get an average of 10-15 hits per successful chain against the enemy (p.s. that’s GOOD for me, as a non-fighting game person). The short and sweet of it is that the game is like a Super Smash Bros or PlayStation All Stars equivalent for anime shows. It combines some Sega nostalgia in there as well, in a nice package with a short but entertaining story. I’d imagine it’s more interesting for those who understand certain character references. Overall: Dengeki Bunko Fighting Climax provides the anime lover and fighting game lover with something that will be enjoyable. It may not be the best fighting game because of the more simplified mechanics, but it is still challenging enough to spark some competition. Anime lovers will have a variety of characters to play as, and the variations in story/dream mode are enough to keep the game fresh for a while as you go through several characters. It’s less expensive on PS Vita than PS3 by $10 (at the time of this article), so if you’ve got a PS Vita I’d say go that route, as it plays nicely on the handheld. 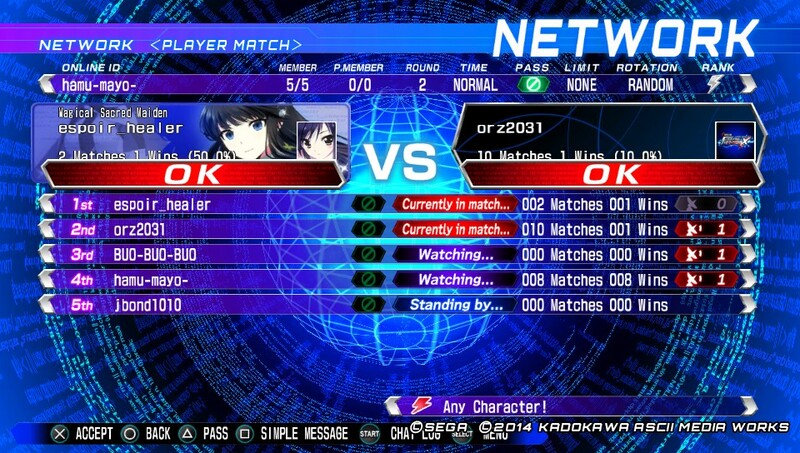 Even online multiplayer (in my limited matches) I never saw lag or anything that tripped me or my opponents up. Check out the announcement trailer below to get a better feel for it, and other reference links below.